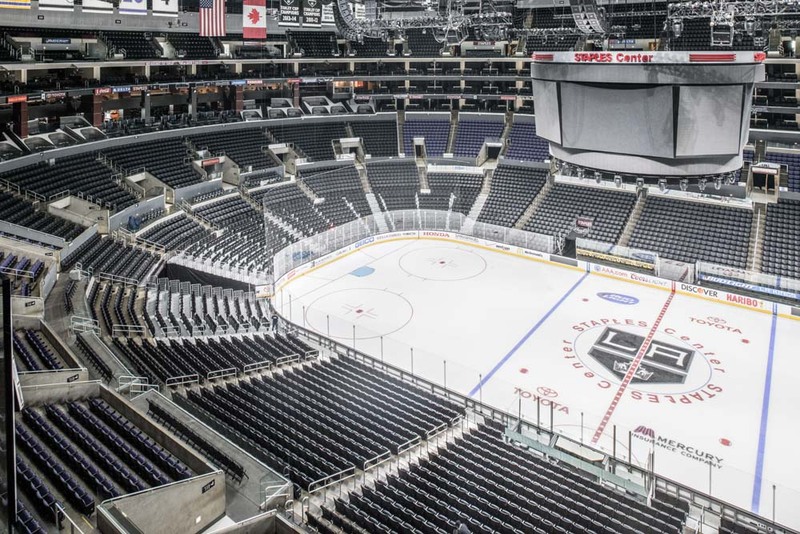 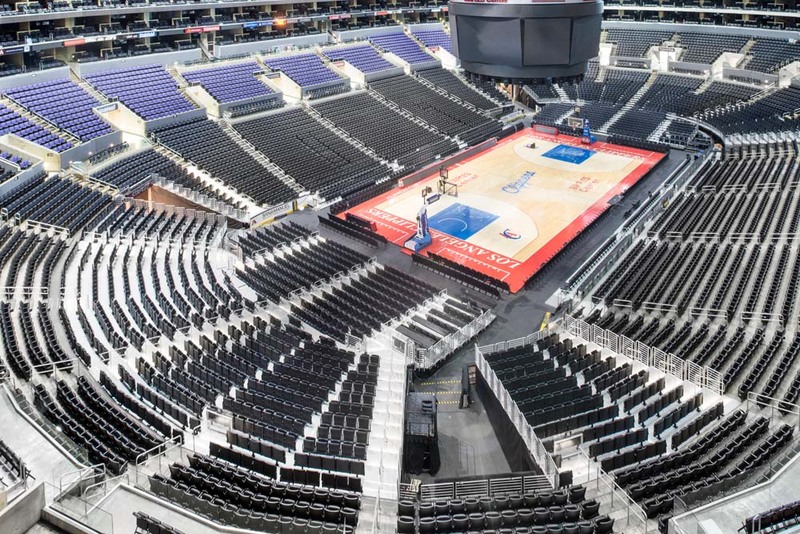 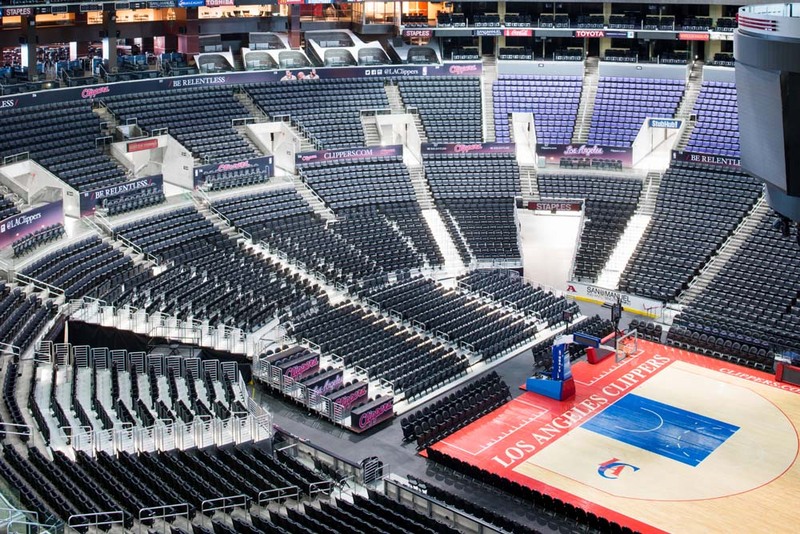 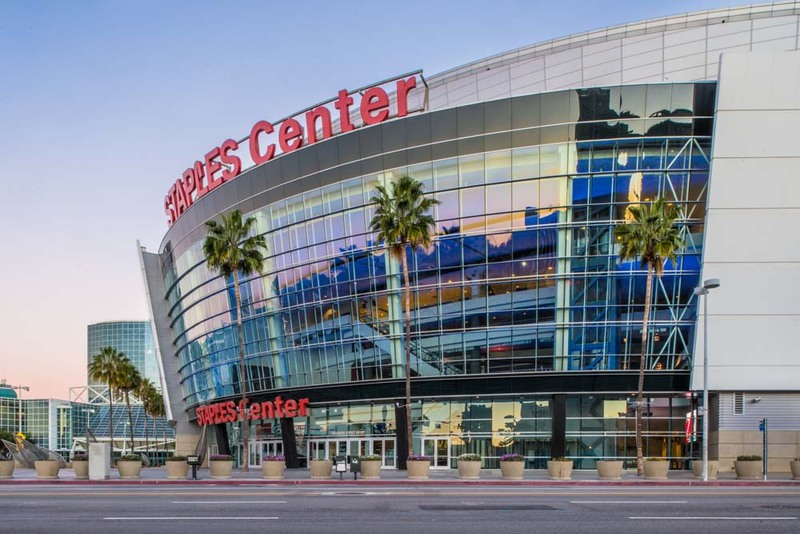 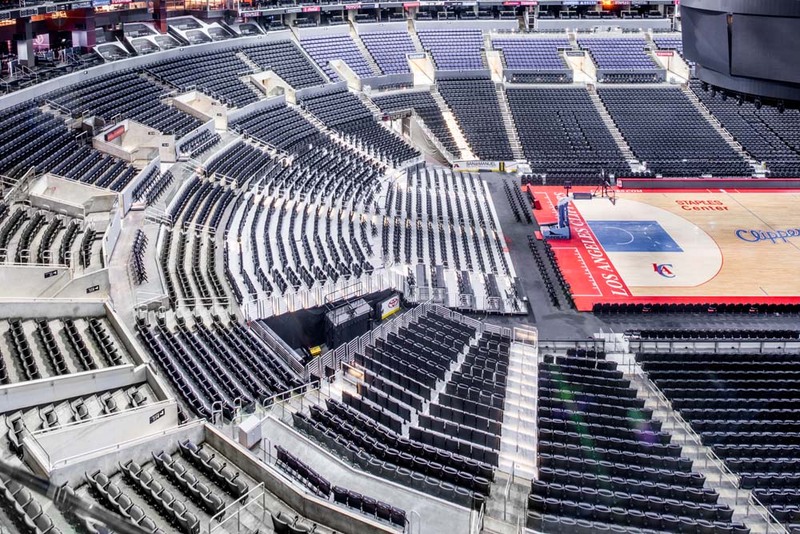 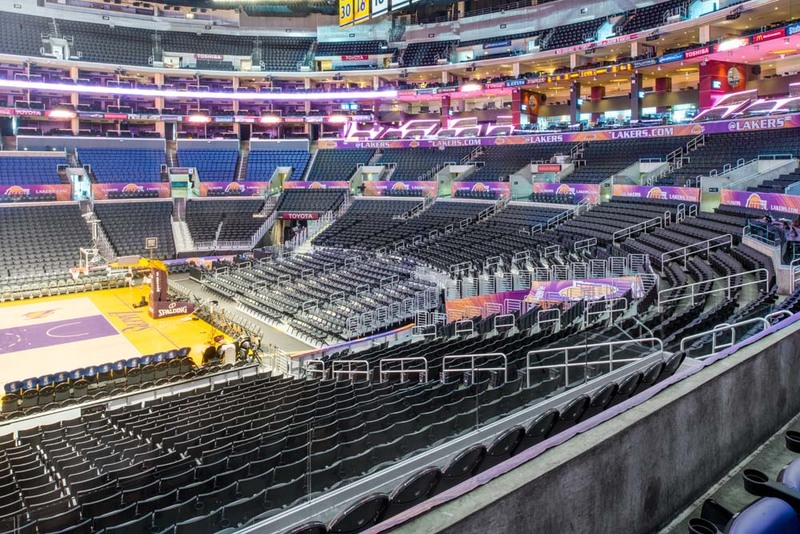 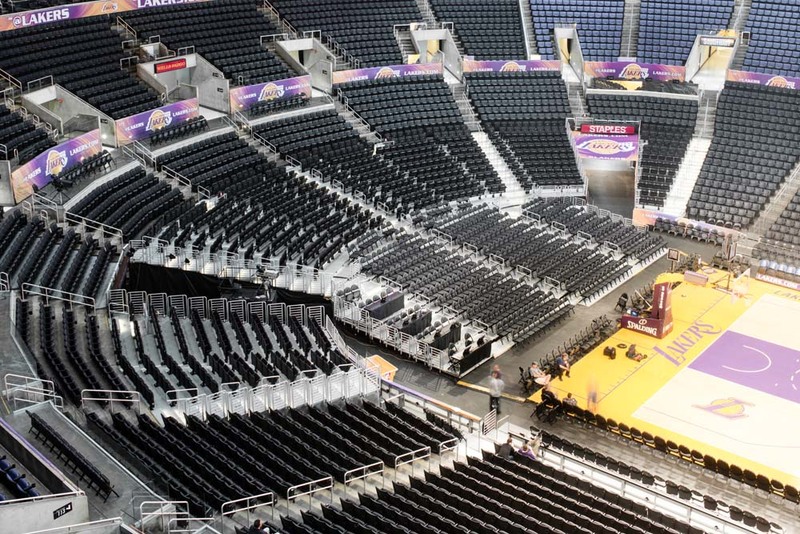 The Staples Center in Los Angeles is home to four professional sports teams, and hosts over 250 events and nearly 4,000,000 guests per year. 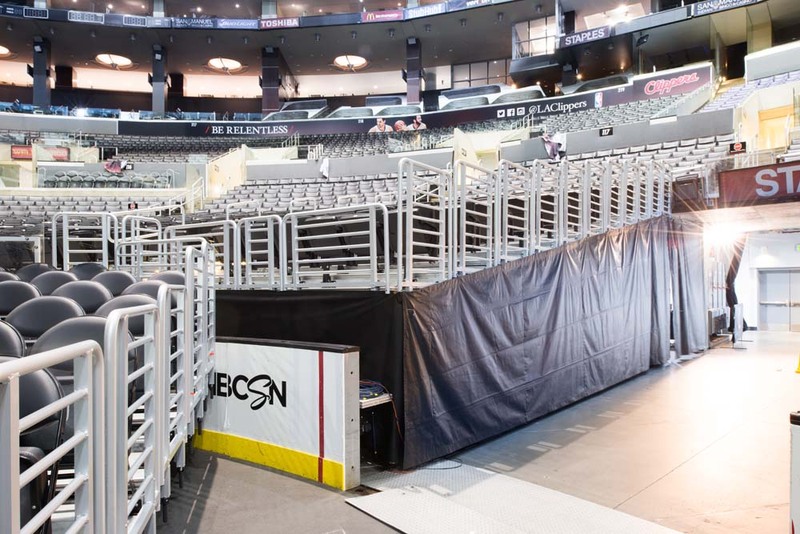 The venue’s old dual rise telescopics were in rough shape in both operation and performance and in need of replacement. 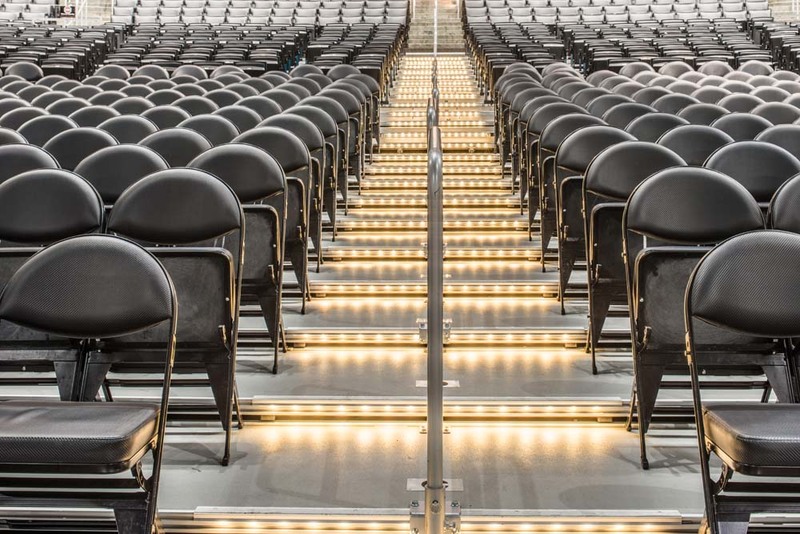 StageRight worked closely with the conversion staff to develop a new system to meet the significant demands of such a busy venue. 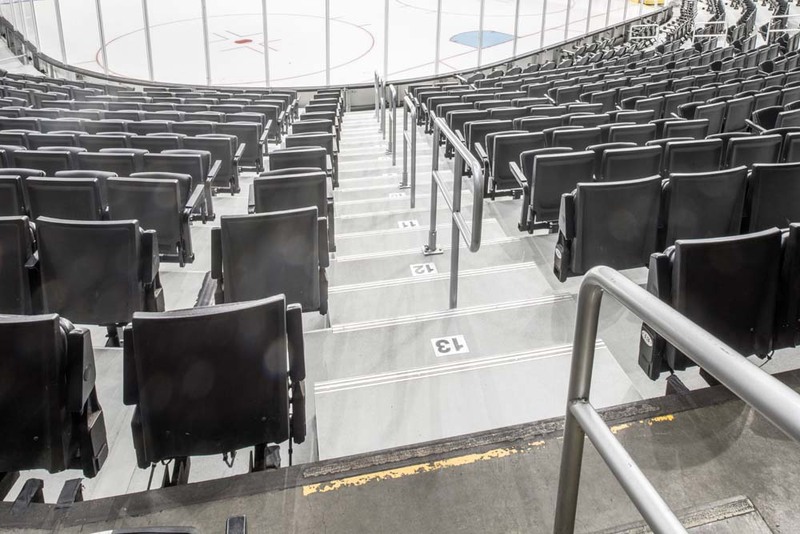 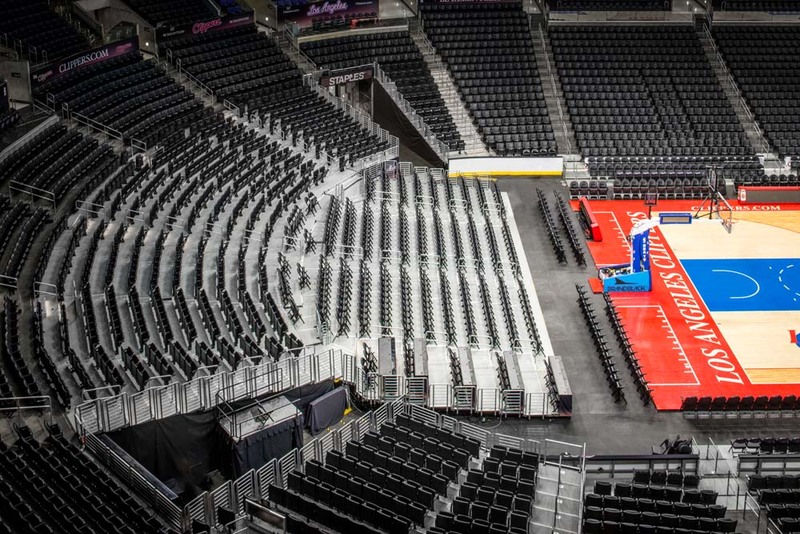 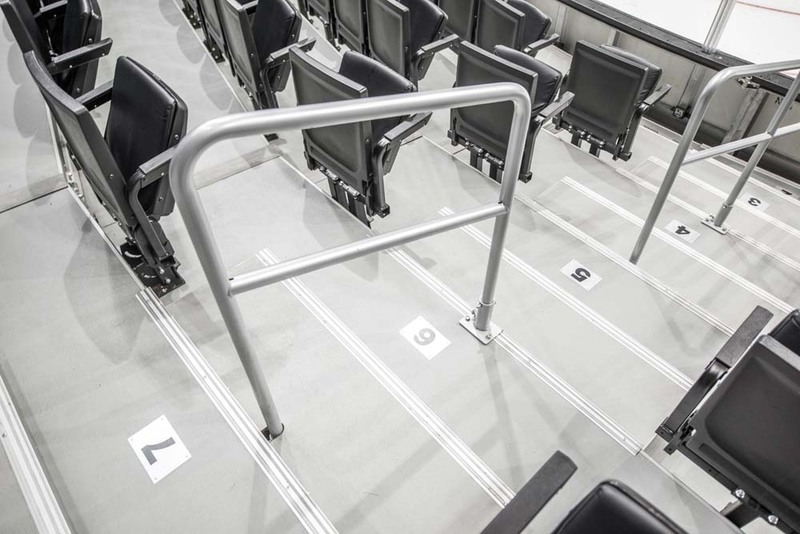 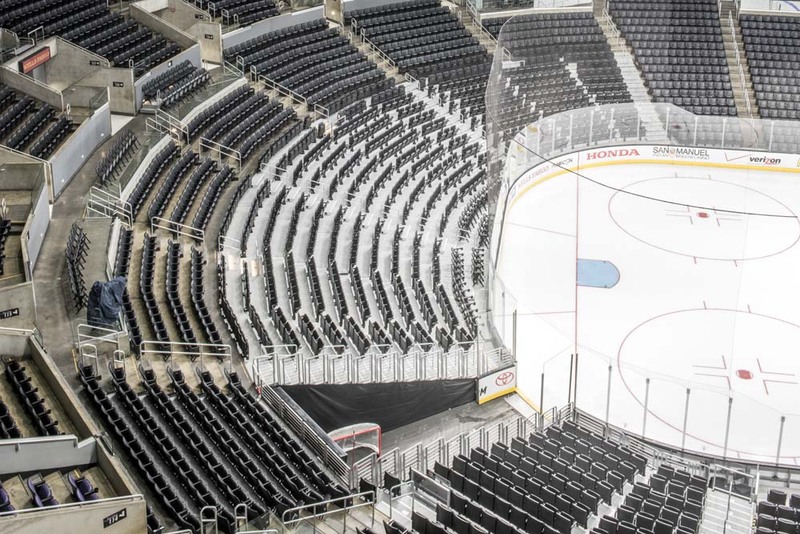 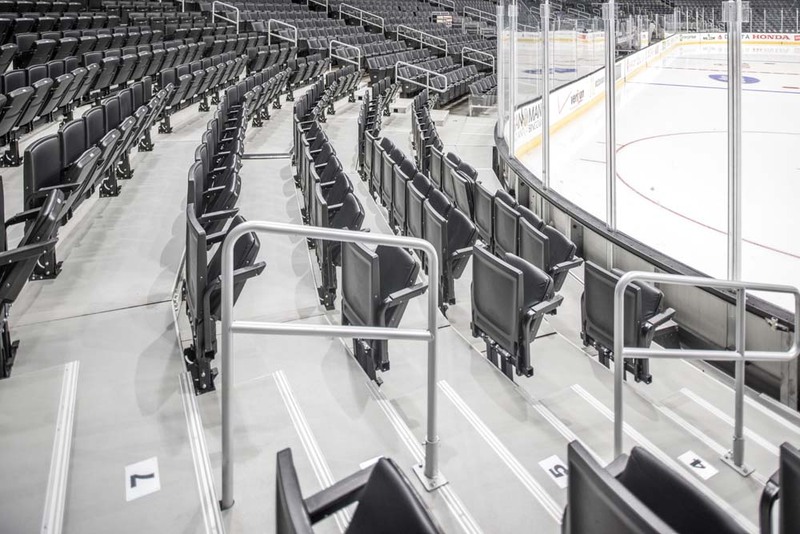 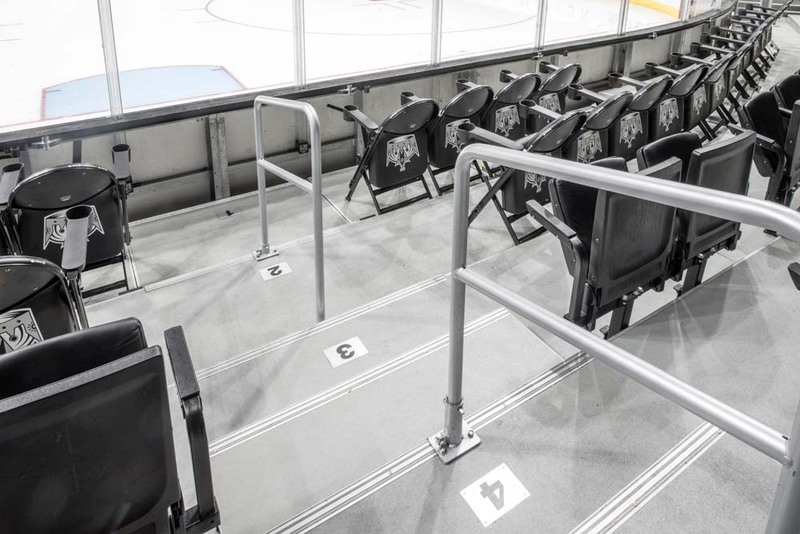 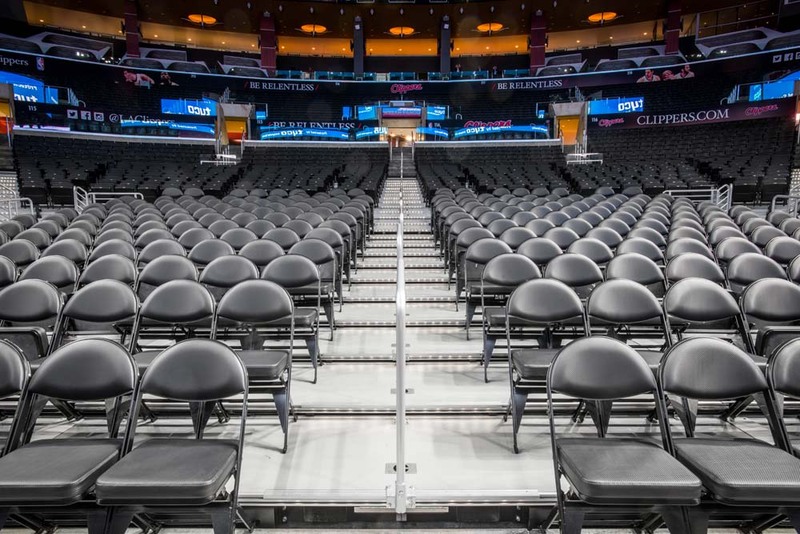 Their invaluable insight on the operational parameters required with conversions of this magnitude was vital in assisting our team in the design of the next generation of retractable seating. 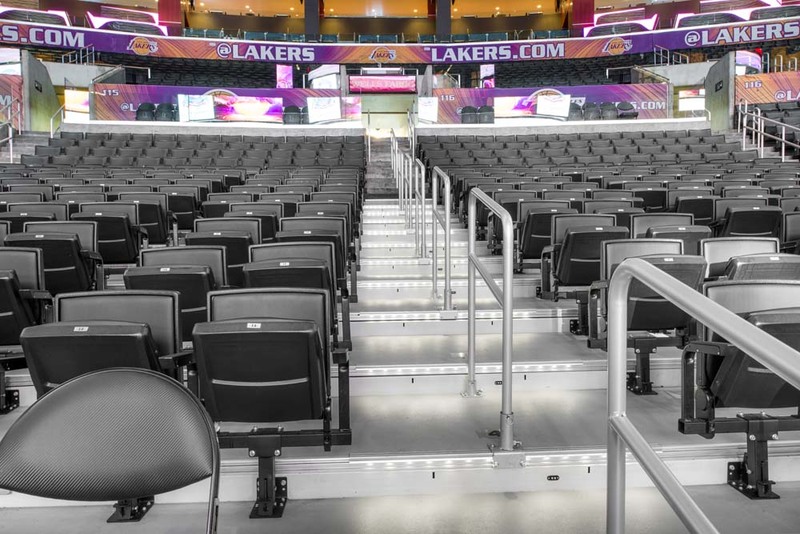 Within a year, the StageRight Telematic100 DX2 Dual Rise Telescopic Seating Riser was developed and ready to install. 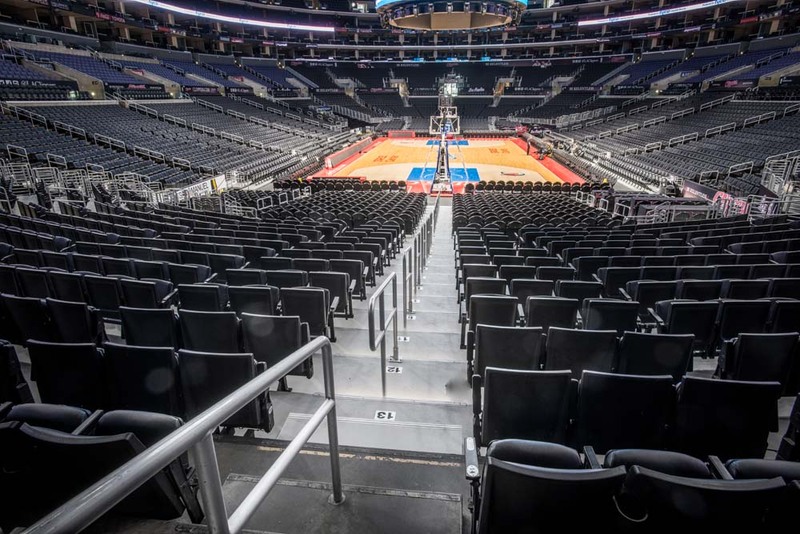 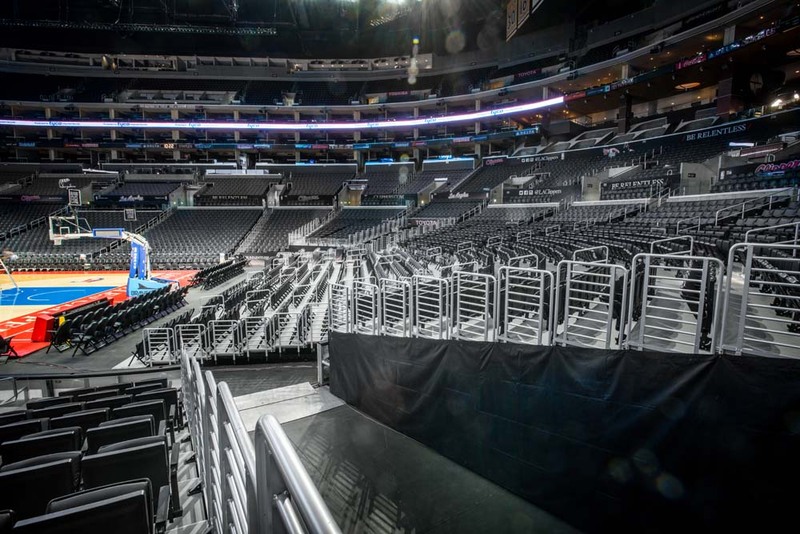 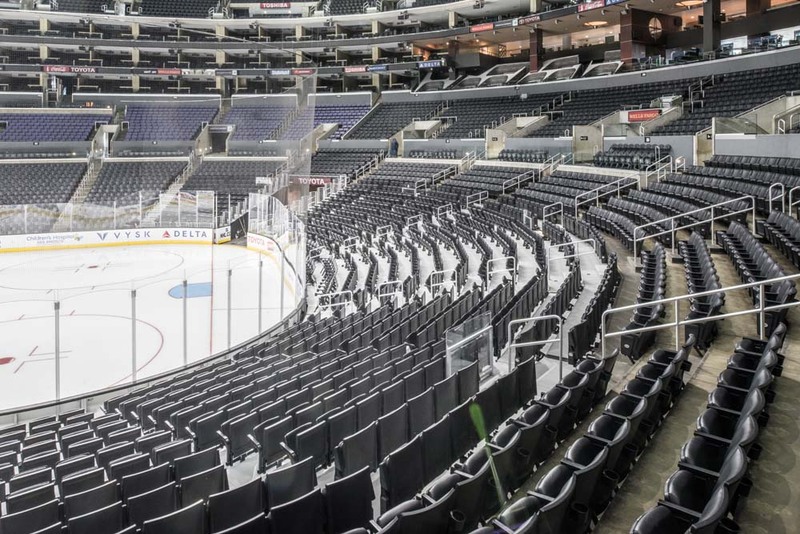 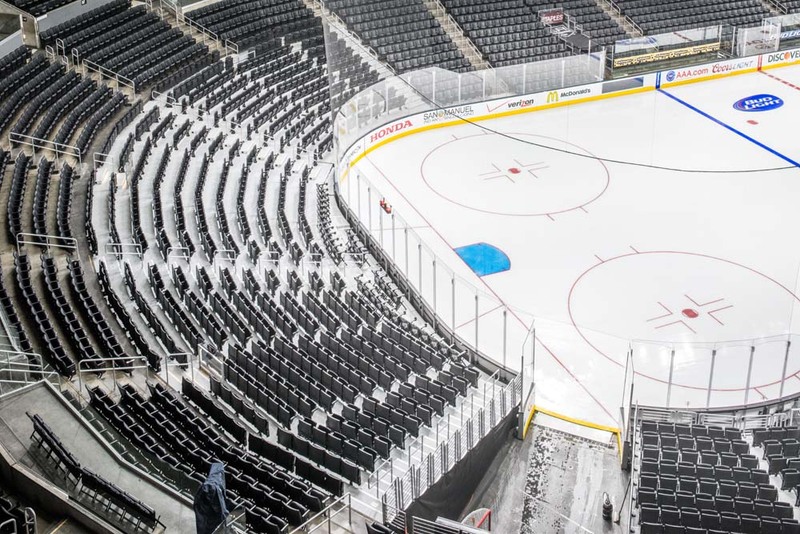 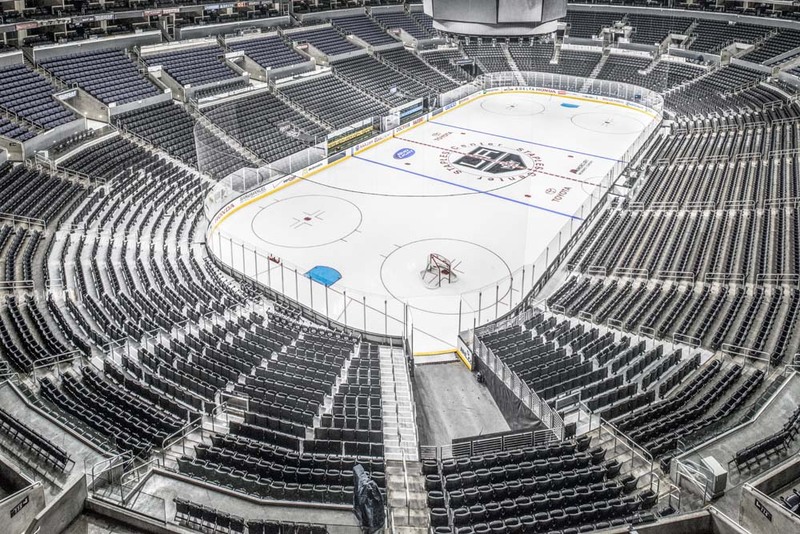 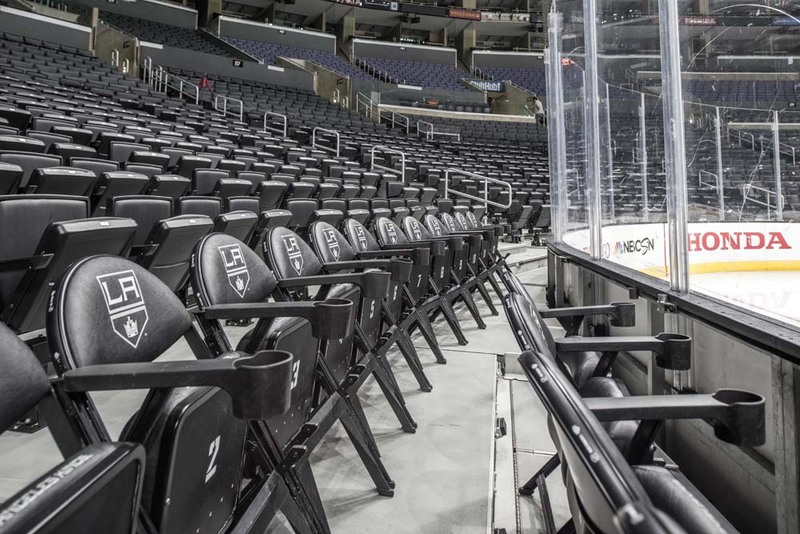 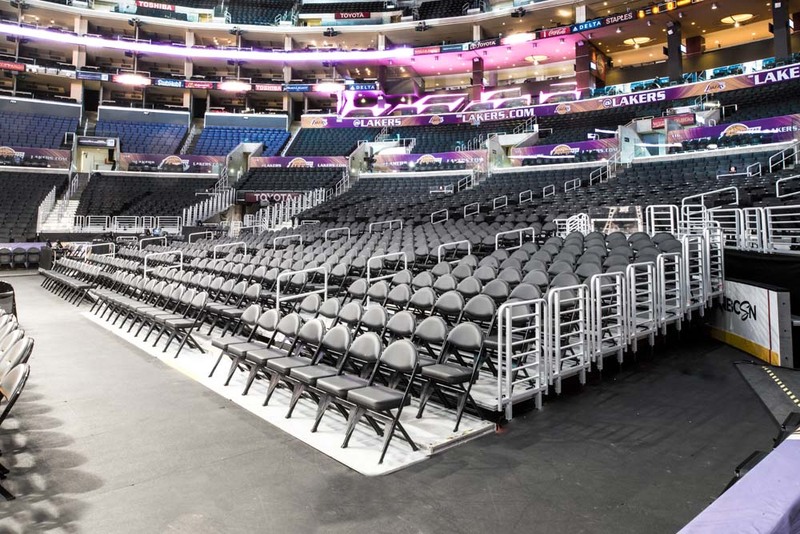 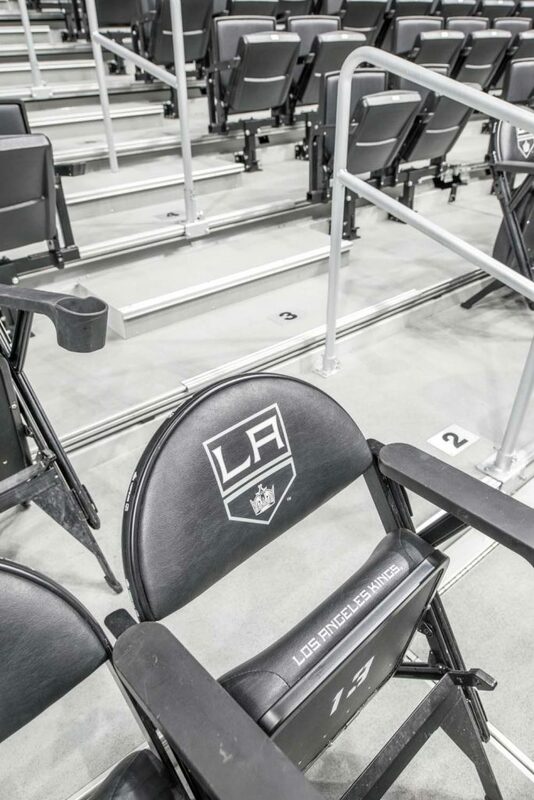 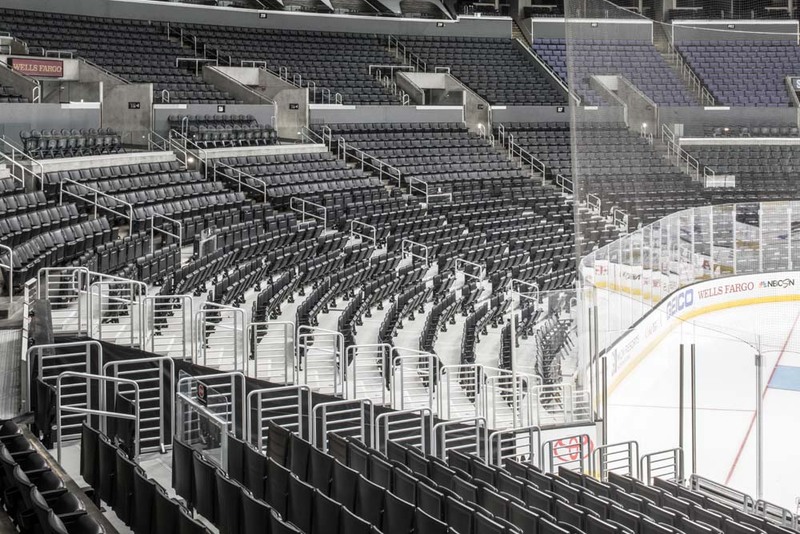 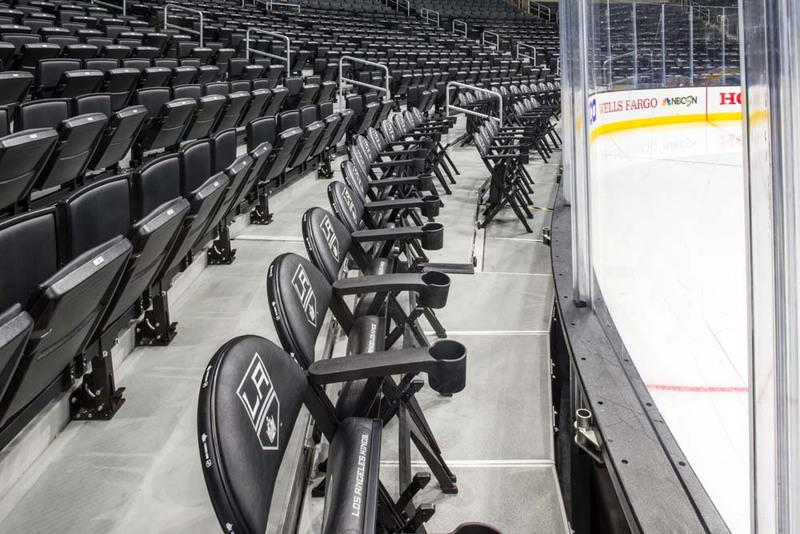 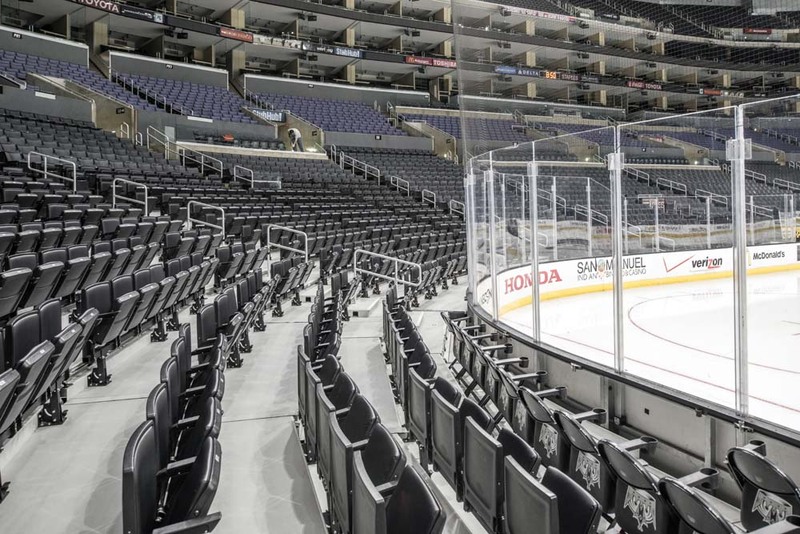 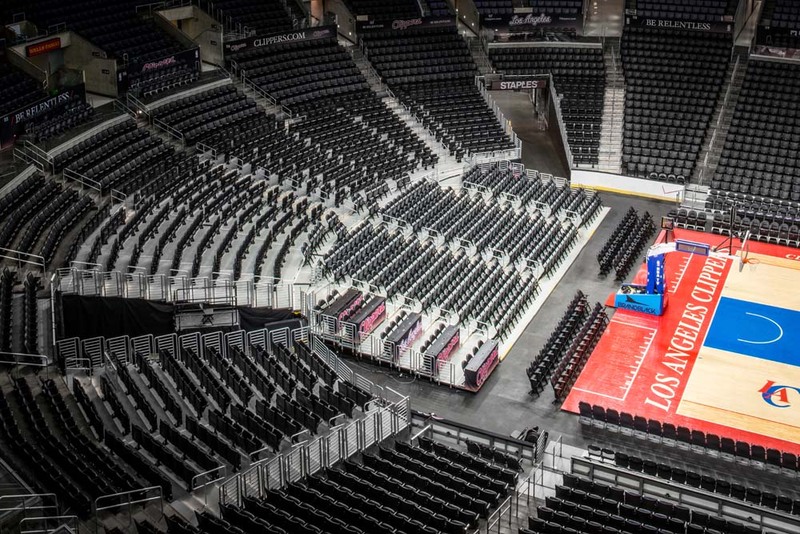 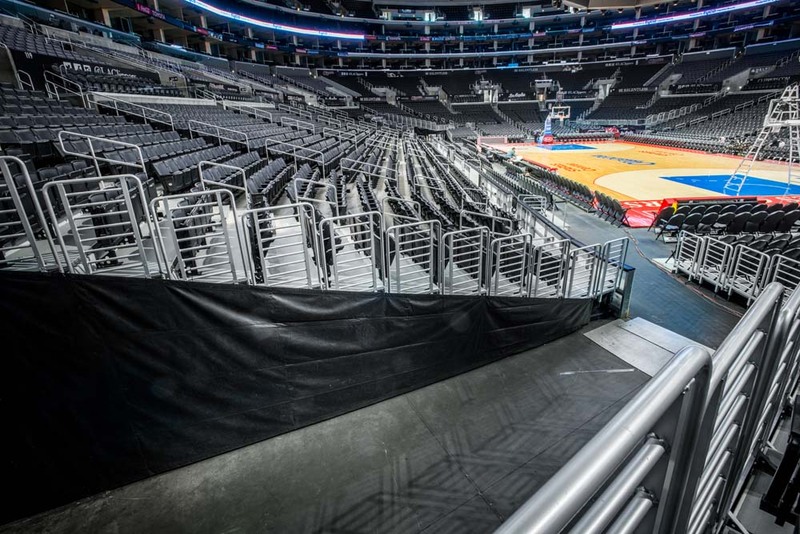 Working in very tight timeframes between events to accommodate the Staples Center busy schedule, StageRight installed all 23 risers over an eight-month time frame. 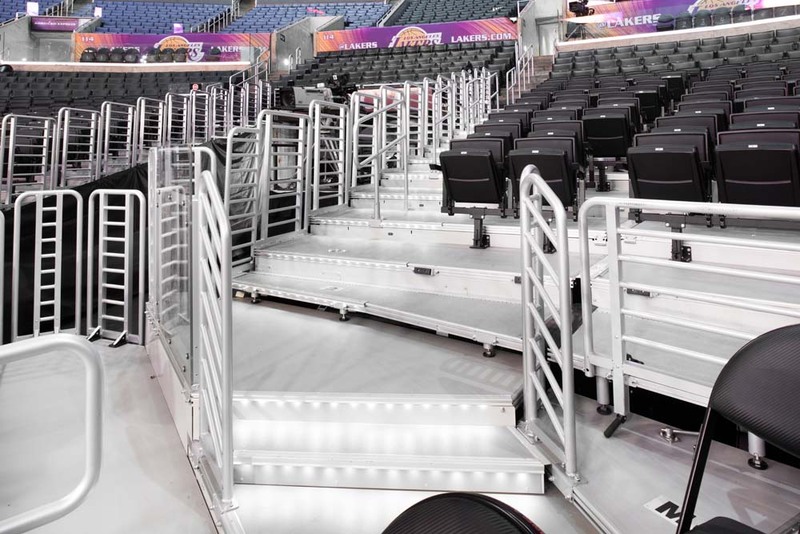 The project far exceeded customer expectations in both operation and performance and became a stellar showplace for all future StageRight telescopic projects.